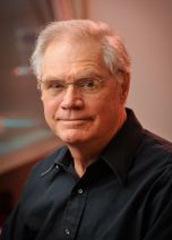 David E. Briles (b.1945), Professor of Microbiology, Genetics and Pediatrics, did his graduate work on the genetic regulation of antibody binding site structure at The Rockefeller University in New York City with Dr. Richard Krause. Dr. Briles' postdoctoral studies, with Dr. Joseph Davie at Washington University Medical School in St. Louis, dealt with the expression of antibody diversity in antibacterial antibody responses and the genetic control of susceptibility of mice to Salmonella and pneumococcal infection. He joined the UAB faculty in 1978. His research is on the molecular biology and genetics of bacterial pathogenesis, bacterial vaccines, and epidemiology of bacterial infections. Together with other colleagues at UAB and past trainees he was awarded a number of patents on pneumococcal vaccine antigens. His present studies are on protein virulence factors of pneumococci, their mechanisms of action and potential use in vaccines. In recent years his lab worked to develop surrogate assays for protective immunity to pneumococcal protein antigens. Dr. Briles has served on several study sections at the NIH and FDA and several editorial boards. He has been an advisor about the potential of pneumococcal proteins as human vaccine to the WHO, PAHO, FDA, and the PATH foundation. Dr. Briles has been a visiting faculty member at SungKyunKwan University in South Korea where he spent two months for 5 year as a WCU scholar. He is also an Adjunct Professor at Northern Illinois University, DeKalb, Illinois. Dr. Briles is married and has two grown children. His hobby is tree farming. We study the interactions of host defenses and bacterial virulence factors in the pathogenesis of bacteria. Our approach is to use both bacterial and animal genetics to identify and study important mechanisms in protection and virulence. We have identified a cell wall protein of pneumococci, PspA, which is important for pneumococcal virulence and which could be useful as a vaccine for very young children. Studies are underway to characterize the protection-eliciting portions of PspAs from different childhood strains of pneumococci, and to assemble these into an effective human vaccine with other pneumococcal proteins. We are studying the mode of action of several pneumococcal virulence factors including PspA, pneumolysin, PspC, PsaA, PcpA, and NanA, and are investigating the possibility of developing a pneumococcal vaccine that would prevent pneumococcal carriage. In other studies, we are investigating the effects of specific immunity and inflammation induced host immunity on the in vivo killing and growth rates of Streptococcus pneumoniae. In collaboration with Drs. Crain in Pediatrics and Nahm in Pathology, we have examined the changing distributions of capsular polysaccharides and protein antigens in human pneumococcal isolates.